Breeders Choice Pet Foods maintains its growth and success with automation seen at Pack Expo. Breeder’s Choice Pet Foods, Irwindale, Calif., is a family-owned company, founded in 1947 when Harold Taylor found a way to combine a love of animals with his business expertise. The company's Pinnacle-brand products are packed in oxygen-barrier bags to maintain freshness. As with most successful startups, there were growing pains. 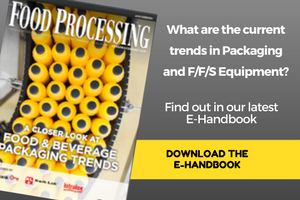 New products and more volume brought packaging challenges. By 2004, Taylor realized a core part of his packaging operations needed to be updated. At that time, all of the company’s palletizing was done manually. In addition, the bagging machinery was aged and ill-equipped to meet the needs of the growing company. Over the years, the company’s product line expanded to include raw meats and diets for zoo animals, frozen pet meals and a variety of specialty food items developed for dogs and cats, most of the last in traditional, albeit sophisticated, bagged packaging. Breeder’s Choice has used progressive packaging solutions to reinforce product quality and grow brand strength. For example, when Pinnacle products were introduced with a unique nutritive formula, they were packaged in oxygen-barrier bags. That gave the company an edge in marketing Pinnacle foods based on product freshness. When Breeder’s Choice reintroduced and expanded its line of Advanced Pet Diets Select Choice, Taylor updated the brand’s packaging with a bold, colorful look to attract new customers and communicate the value of the specialty products more effectively on store shelves. Fortunately for Taylor, 2004 also brought a Pack Expo International show. At the show, Taylor shopped around for automatic bagging systems, often talking with technical experts from exhibiting companies about the latest technologies. There at the show, the owner selected an automatic bagging system from Thiele Technologies, a Minneapolis division of Barry-Wehmiller Cos. The system includes an UltraStar automatic bagger, a Master 3500 automatic palletizer, Series 6161 Masterweigh net weigh scales, an integrated full bag conveyor, and a pallet wrapper. The UltraStar is a fully automatic, dual-bag handler that offers high-speed bagging for packages between 20 and 110 lbs. Available with integral PBOM sealer and poly sealer, the UltraStar maintains full production speed throughout the entire bagging and sealing cycle and allows for quick and easy adjustments for bag size changes. The Master 3500 high-speed, high-level palletizer features a high-speed pusher motor, state-of-the art mechanical and electrical components, and programming to automatically palletize filled bags and bales. It also incorporates an innovative design that minimizes filled bag damage during manual palletizing and automatically empties its pallet dispenser with touchscreen control. Owner Harold Taylor says he expects the new automatic bagging system, which includes both bagging and palletizing capabilities, will increase his plant's packaging speeds by 30 percent. When installing the equipment, Breeder’s Choice faced a challenge. In order to maintain production levels during installation, the company needed to modify conveyor configurations and floor space usage. Thiele’s technical experts helped Breeder’s Choice with those details. All 20- and 40-lb. bags of the company’s dog and cat foods now are packaged with the Thiele automatic bagging system, which is expected to help Breeder’s Choice considerably increase production speeds. The system has also freed staff from manually bagging and palletizing products to do other chores. Pack Expo International will be Oct. 29-Nov. 2 in Chicago’s McCormick Place. The show is celebrating its 50th anniversary and will be co-located with the Process Expo and the Converting & Package Printing Expo. For more information, see www.packexpo.com or contact the Packaging Machinery Manufacturers Institute at 703-243-8556.